September 30, 2010 Dan O.
I think I had better bedtime stories in my own life, then this damn movie. Skeeter Bronson (Adam Sandler) is a down-on-his-luck guy who’s always telling bedtime stories to his niece and nephew. But his life is turned upside down when the fantastical stories he makes up for entertainment inexplicably turn into reality. Can a bewildered Skeeter manage his own unruly fantasies now that the outrageous characters and situations from his mind have morphed into actual people and events? Before all of you start judging, I had to watch this with my little 5-year old cousin, because if I did watch it on my own time, GOD, I would need something else to do. This film is strictly for the family, and mainly younger kids. There is a lot of crazy things going on, like colorful visuals, random action, and the of course occasional little cute spots for the whole family to enjoy. But if you a 17 year old, movie critic, your in the back just about ready to go crazy. Now I would lie to you, if I didn’t say I didn’t laugh at this. Cause surprisingly I had a chuckle here and there, mainly from Sandler, but other than that, this comedy was just poor. But I can’t be too mean to this film, and it’s little amount of comedy, mainly because it’s centered towards kids, and they will laugh at anything that seems different, or cool. But since this is a Disney movie, i was wondering, where is the heart at??? And I didn’t really find it honestly, and with a film that is centered towards the kids, and the whole family I expected more, but hey, whatever. 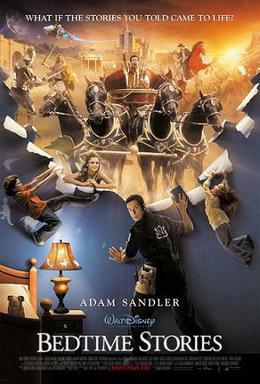 Adam Sandler I think is funny, even in his worst movies. And this is where he actually tries something new, and aim his comedy at a younger audience, while also entertaining the older ones as well. For the most part, he does a good job at it, because he’s funny when he wants to be, and brings out some chuckles, mainly because some of the jokes are centered towards adults at times. Russell Brand is randomly in this, and just feels, and looks awkward mainly because he isn’t able to bring his usual, adult laughs to the screen, though he does have some funny moments. Keri Russell is just there not doing much, as well as Courtney Cox. 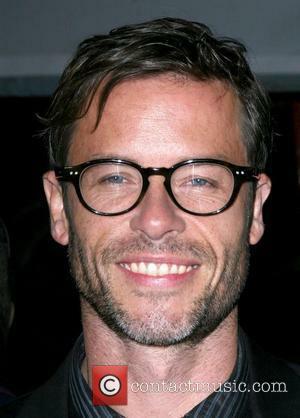 But the funniest, and most random casting of them all, was indeed, Guy Pearce. That’s right, that Guy Pearce. He play’s the main bad guy in this film, and I guess he does a good job, but you can’t be really sinister in a family-oriented film, and actually be believable, so he’s just randomly in this for laughs I guess. Consensus: Here and there was a couple of chuckles, mainly from the cast, but Bedtime Stories is a great kids movies, that may be too colorful, dull, and little heart, for the whole family to enjoy, especially the adults. He’s good, and Punch Drunk Love is by far his best.